An adaptation of Dale Carnegie's timeless prescriptions for the digital age. Dale Carnegie's time-tested advice has carried millions upon millions of readers for more than seventy-five years up the ladder of success in their business and personal lives. Now the first and best book of its kind has been rebooted to tame the complexities of modern times and will teach you how to communicate with diplomacy and tact, capitalize on a solid network, make people like you, project your message widely and clearly, be a more effective leader, increase your ability to get things done, and optimize the power of digital tools. Dale Carnegie's commonsense approach to communicating has endured for a century, touching millions and millions of readers. The only diploma that hangs in Warren Buffett's office is his certificate from Dale Carnegie Training. Lee Iacocca credits Carnegie for giving him the courage to speak in public. Dilbert creator Scott Adams called Carnegie's teachings "life-changing." 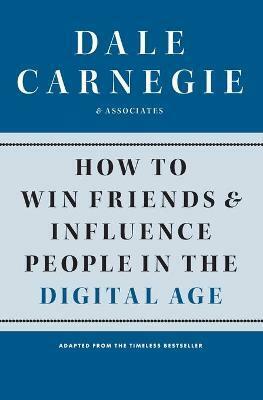 To demonstrate the lasting relevancy of his tools, Dale Carnegie & Associates, Inc., has reimagined his prescriptions and his advice for our difficult digital age. We may communicate today with different tools and with greater speed, but Carnegie's advice on how to communicate, lead, and work efficiently remains priceless across the ages.